Medicare Annual Enrollment Period Begins Oct 15th through Dec 4th. is a portfolio of Medicare products and part of UnitedHealth Group, which delivers innovative products and services to over 134 million unique individuals. For more than three decades, UnitedHealthcare has served the health care coverage needs of Medicare beneficiaries. UnitedHealthcare serves one out of every five Medicare beneficiaries. 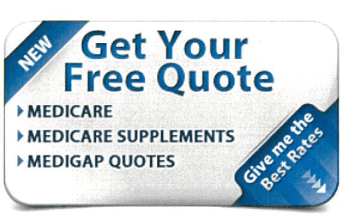 through a variety of products, including Medicare Advantage plans, Medicare Supplement Insurance plans, and Medicare Part D prescription drug plans. plans [offered through UnitedHealthcare Medicare Solutions] offer all of the benefits covered under Original Medicare and more. Many plans also include Medicare Part D prescription drug coverage. Depending on residency, there may be several Medicare Advantage plans to choose from, including HMO, POS, PPO, and PFFS plans. • Health Maintenance Organization (HMO) plans enable members to receive care through a network of contracted local doctors and hospitals that coordinate their care. Out-of-pocket costs may be lower for these plans for other plans. Some plans do not require referrals for specialty care. • Point-of-Services (POS) plans include all of the features of HMO plans plus the ability to go outside the contracted network for certain health care services, typically at a higher cost. Some POS plans offer open access providers with no referrals needed. • Preferred Provider Organization (PPO) plans give members access to a network of contracted local doctors and hospitals, but also allow them the flexibility to seek covered services from physicians or hospitals outside of the contracted network, usually at a higher cost. Members do not need a referral for specialty care. • Private Fee-for-Service (PFFS) plans give members the freedom to receive care from any Medicare-approved provider who agrees to accept the plan's terms and conditions of payment. Referrals are no needed for specialty care. plans are offered to those enrolled in Medicare Parts A and B. These plans may provide more freedom to choose doctors and hospitals, and see a specialist without referrals. Medicare supplement insurance plans also offer nationwide coverage. These plans provide a way to add drug coverage to Original Medicare supplement insurance coverage.